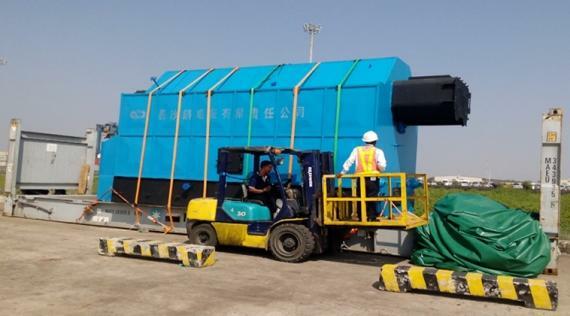 Last month, exclusive UFO member in Myanmar, Innovo Shipping & Logistics handled a notable shipment of a boiler for one of the leading coffee and tea brands in Myanmar. The boiler measured 29 x 10 x 13ft and weighed 43tns as pictured in the below gallery. 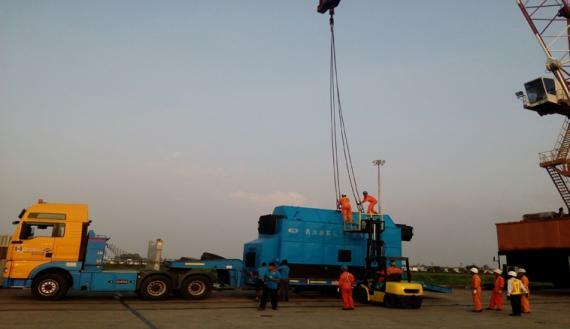 The shipment was received at Myanmar International Terminals Thilawa and safely delivered to the consignee's industrial premises. Innovo Shipping & Logistics Managing Director, Aung Myat Htut who has great experience in the Myanmar shipping industry states; "The month of December was a remarkable one as the Innovo team handled a number of significant shipments including the door-to-door delivery of cargo for several international firms in Yangon. Our customer's satisfaction is our first priority. We keep our promise and provide a professional service to our customers."